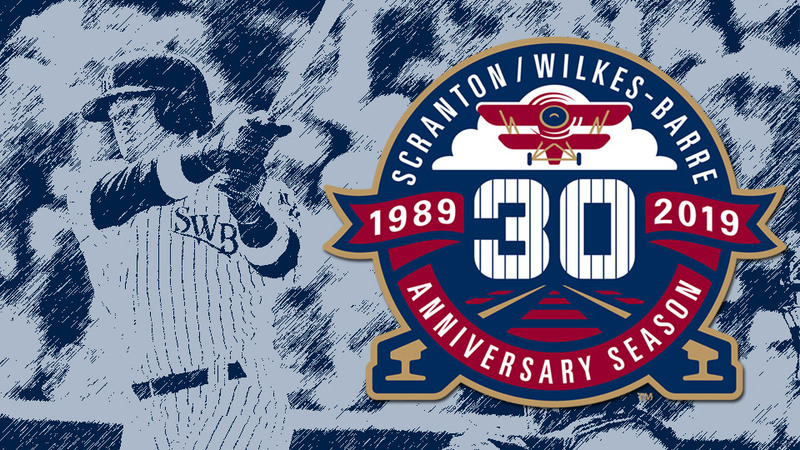 MOOSIC, PA. (October 18, 2018) - The Scranton/Wilkes-Barre RailRiders, Triple-A affiliate of the New York Yankees, are pleased to announce home game times for the 2019 season. The RailRiders will mark 30 years of professional baseball in Northeast Pennsylvania next season. In April, May and early June, weeknight home games will begin with a 6:35 P.M. first pitch and Saturday games will start at 4:05. Special start times include the home opener (7:05 P.M. on Thursday, April 11 against the Buffalo Bisons) and two school day games (10:35 A.M. first pitch on Thursday, May 9, and Thursday, May 23). Starting on Tuesday, June 18, weeknight home games will begin at 7:05 P.M. and Saturday games shift to a 6:35 P.M. first pitch. The RailRiders will host two camp days in July (Wednesday, July 17, and Tuesday, July 30) that will have 12:05 P.M. start times. Scranton/Wilkes-Barre will close the season at PNC Field on Labor Day with a 12:05 P.M. first pitch against Buffalo. 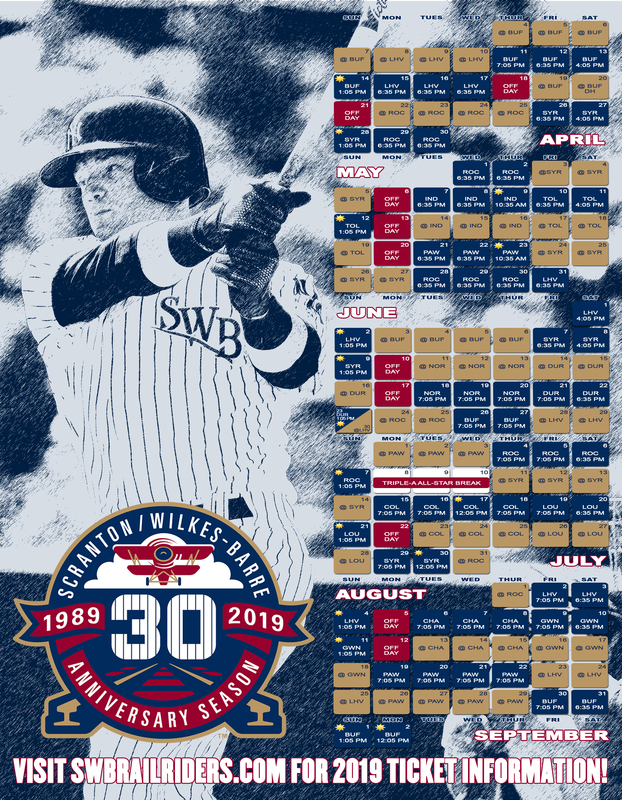 All Sunday games throughout the season will start at 1:05 P.M.
2019 marks 30 years since the franchise moved from Maine to Moosic and the RailRiders will spend the entire campaign paying tribute to the rich history of baseball in the area. Season tickets and mini-plans are on sale now by calling (570) 969-BALL.